The time has finally come that we have decided to open up the Competitive game-mode to the public. It's still not a 100% finished product and there is still some tweaks and fixes to be made but to help us finalize this brand new game-mode we invite YOU to help us! How to join the BETA? Now, to not rush things and stress the server too much the Competitive BETA game-mode will only be available to players who have an Extreme account subscription, Legendary or are Official Fredaikis partners. 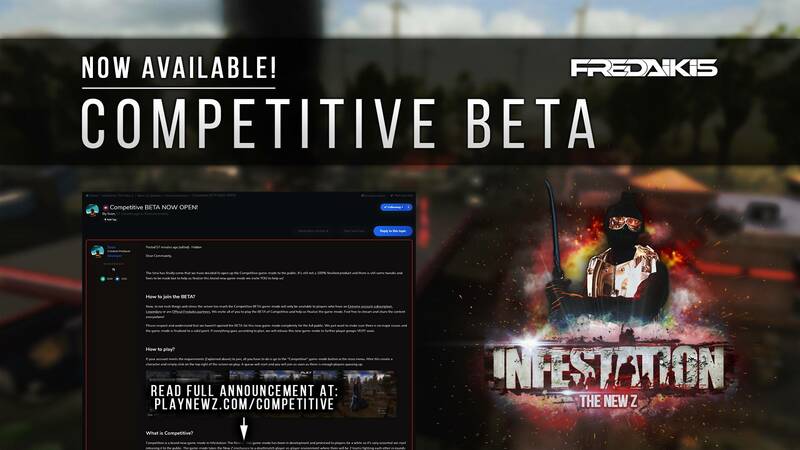 We invite all of you to play the BETA of Competitive and help us finalize the game-mode. Feel free to stream and share the content everywhere! NOTE: Deluxe and Lifetime Premium got added as well. 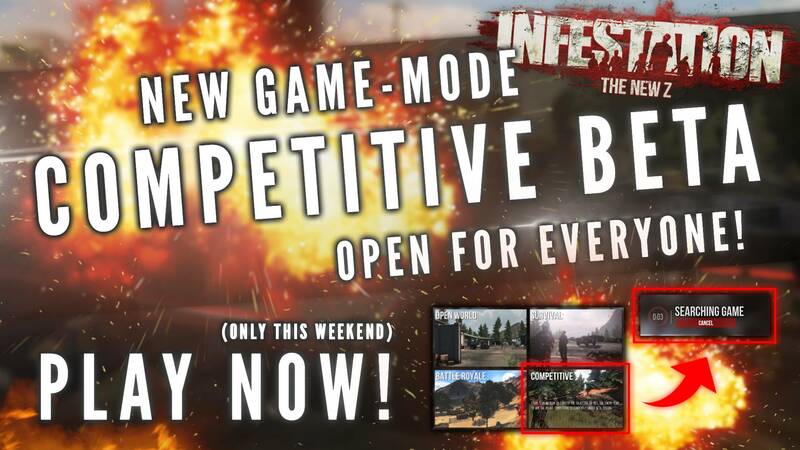 Please respect and understand that we haven't opened the BETA for this new game-mode completely for the full public. We just want to make sure there is no major issues and the game-mode is finalized to a solid point. If everything goes according to plan, we will release this new game-mode to further player groups VERY soon. 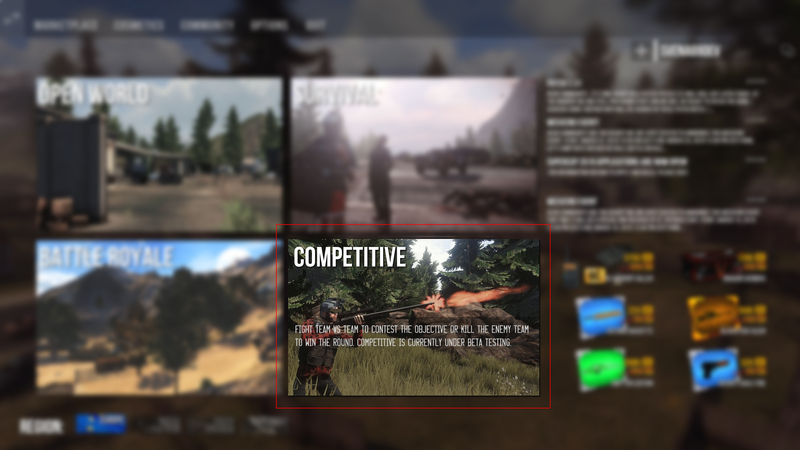 If your account meets the requirements (Explained above) to join, all you have to do is go to the "Competitive" game-mode button in the main menu. After this create a character and simply click on the top right of the screen on play. A queue will start and you will join as soon as there is enough players queuing up. The queue system is completely dynamic. It takes the players "skill level" and using that it queues a player against / with other players that are around that skill level. Right now, as this is the first public Competitive release ever the queue system is very soft; almost any player will get queued with any player. We expect this to slowly fall in place and adjust over time where in the end players will be queued based on their skill. 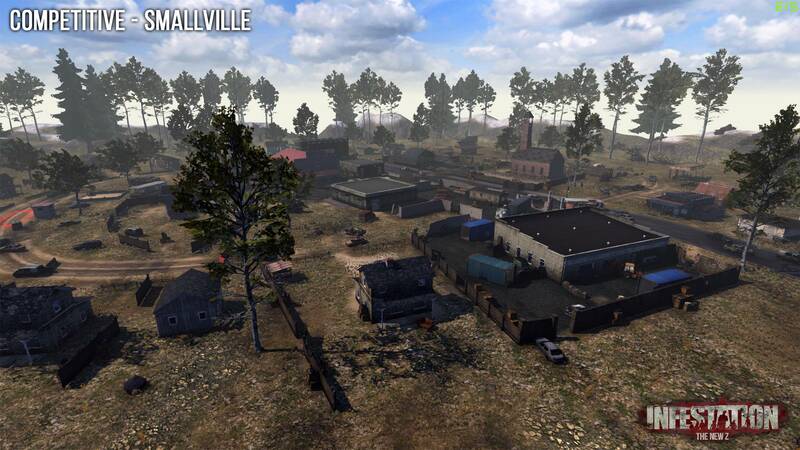 After a player has joined the server a little "warm-up game-mode" will be active. This is basically a warm-up where players fastly spawn in with random gear sets and weapons to kill other players. The warm-up depends on how fast the remaining players join the game but usually lasts for around a minute. After this the actual Competitive game will begin. 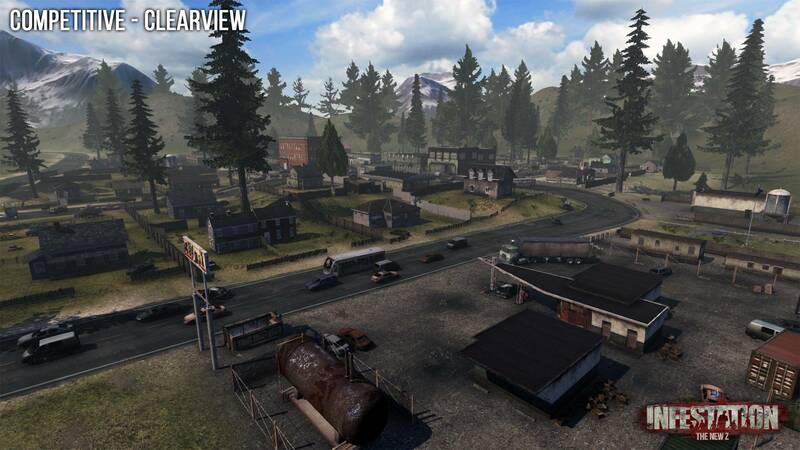 There is a short pause and players will be moved to each side of the map (team a and team b). 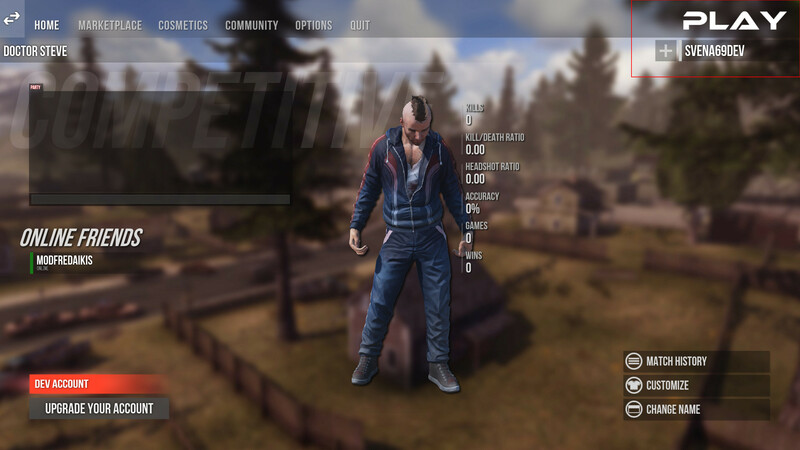 After a player has joined the server, it will be placed in a team. Current team size is 5 so in one Competitive server there will be 10 different players. 5 in each team. There is team A (red) and team B (blue). Team red is always the attacking team and team blue always the defending. The Competitive game-mode has rounds where each round is a set amount of time. Please note that things like round time, amount of rounds all depend on the map. This is all dynamic and will be tweaked depending on the BETA testing. Right now every map has 10 rounds. Teams switch EVERY round. This means on round number one you would be team blue, and on round number two you would be team red, etc. This to vary the gameplay as much as possible. Each round the defending team has to defend the objectives for a certain amount of time, where the attacking team has to try to attack / take over one of the objectives OR kill the entire defending team. Fully taking ONE of the objectives. Defend the objectives in time. When the time is over and the attacking team hasn't taken any objective, the defending team wins. A team can win the match by (in this case) winning 6 rounds aka best of 5. There is 10 rounds in total so it is possible that the final score can come down to a 5-5 but in this case the 11th round will start and that round will decide which team will win the match. 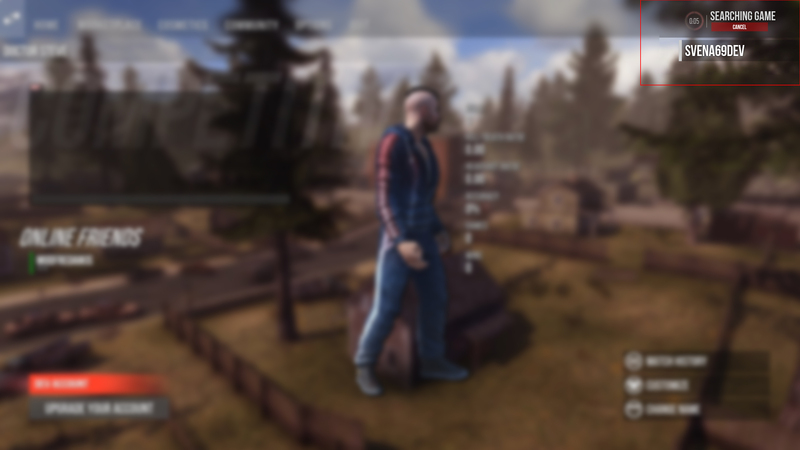 During a round when a player gets eliminated, he can spectate the remaining players of his team. Players will NOT respawn until the round is over and the next round starts. When an attacking team is starting to take over ONE of the objectives the other objectives are automatically disabled. 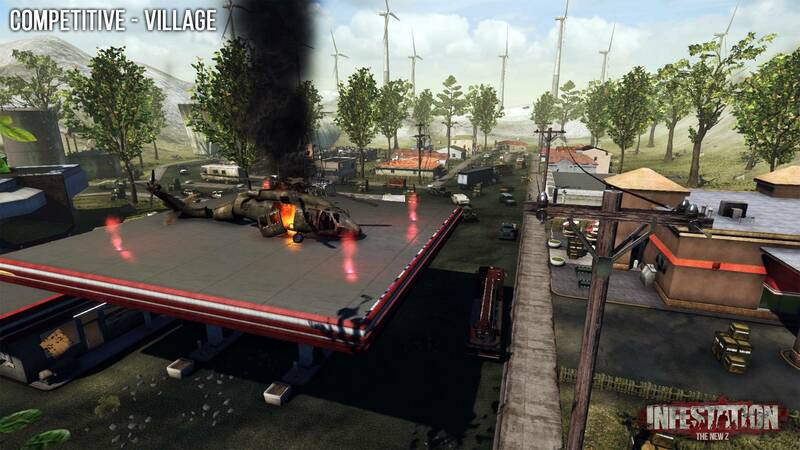 This means that the attacking team can not take over two objectives at the same time. Every round the losing and the winning team receive a sum of dollars. Players can also receive dollars when killing another player for example. These dollars can be used at the beginning of any round where players can buy better gear and weapons. Players lose their gear and weapon when they get eliminated. Other players will be able to pick up the gear and weapons from the player that got eliminated. Teams can communicate with team members using voice chat. There is also a team and global chat. Crash? Got kicked? We know that this might be an issue and therefore we have integrated a re-join system. It's very simple. If your game crashes, just restart, go to the Competitive game-mode and click on the top-right on "Play" and it will re-join you. If it doesn't let you in, keep trying. We are still improving things here. Skins work just like in any other game-mode. Purchased skins by players can be used in this game-mode. Competitive is it's own unique game-mode and nothing other than skins / cosmetics can be transferred / used from other game-modes. A lot of the stats, such as round times, winning / losing money will be tweaked depending on the feedback from this BETA. Ranks. Where players have ranks and a leaderboard to compete against other players. We definitely aim to add this to the Competitive game-mode very soon! Option that players can choose the map when queuing. Further tweaking and improving the game-mode. Keep fixing crashes and keep optimizing! Want to help us? Have feedback or reports about something? Let us know! Just let us know in the comments there what your feedback or report is! Your help is MUCH appreciated! Now, if you have any further questions feel free to ask us in the comments on this thread or links us on one of our social media channels. We'll gladly answer any question you might have! Please note that this text might be updated as there might be some information we have missed. Well done Fred & rest of The team! Took some time, But glad to see its here! BTW, it's not many people trying just yet, have some patience and try to keep the queue up so 10 people can start a game! Witam , kiedy będą mogli grac wszyscy?? lub osoby które mają konto premium ??? NOTE: Deluxe and Lifetime Premium got added are able to play as well. UPDATE: Premium users are able to test it out too now! One moment of silence for the people that went and got Extreme yesterday to play this.